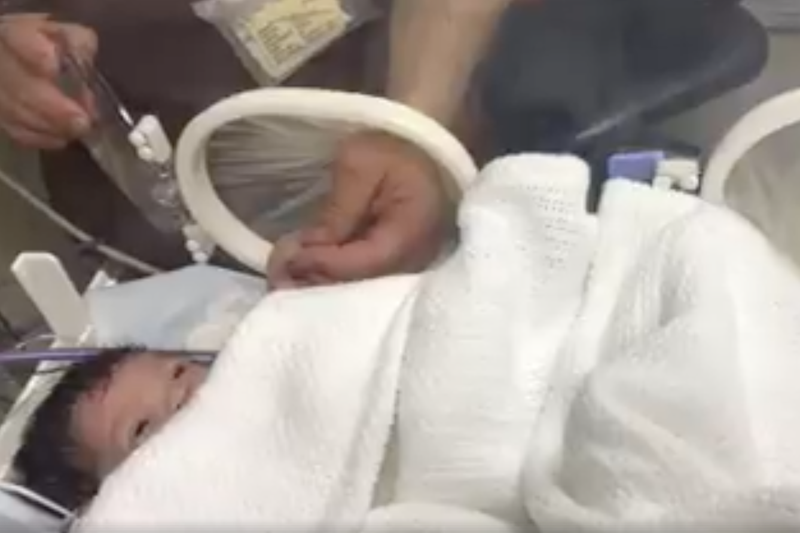 He added that they can hear the baby crying and have gained access into the pipe. It was raining last night, this little baby was washed down from up on the roadway. He added:' It is great news she has been rescued and she is now in a stable condition so a great ending for all the rescuers and personnel and paramedics who did this. Police are investigating how the newborn ended up in the storm drain.